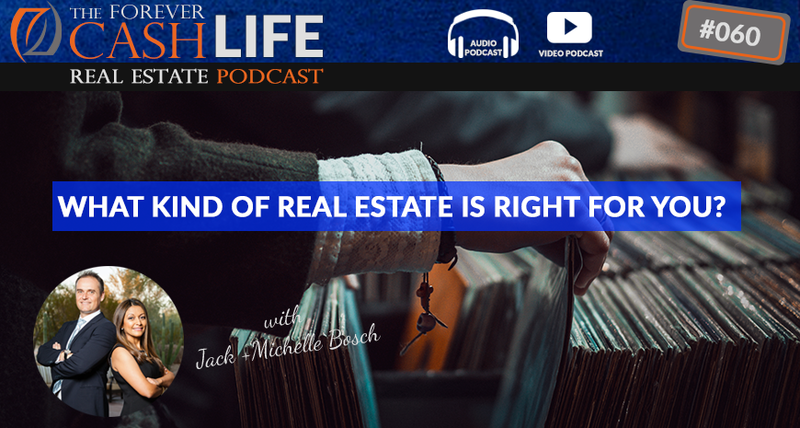 FCP 060: What Kind of Real Estate Is Right For You? 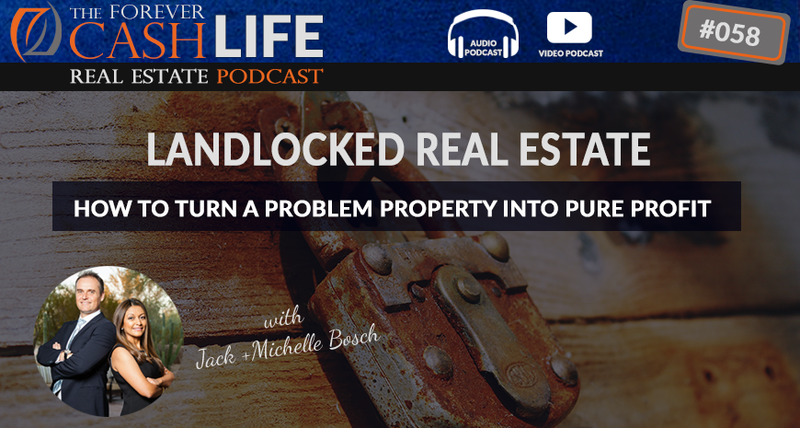 FCP 056: How To Make Real Estate Work – What Does It Take? 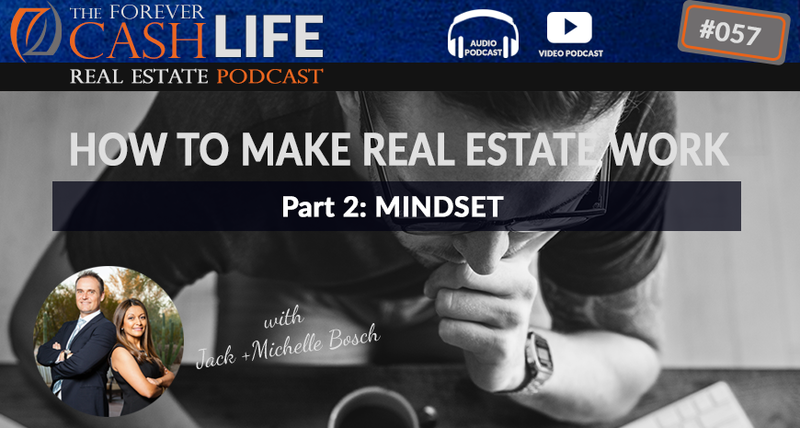 In this episode Jack talks about what it takes to make it in real estate. Many people make huge mistakes when they invest, because they base their decisions on speculations. 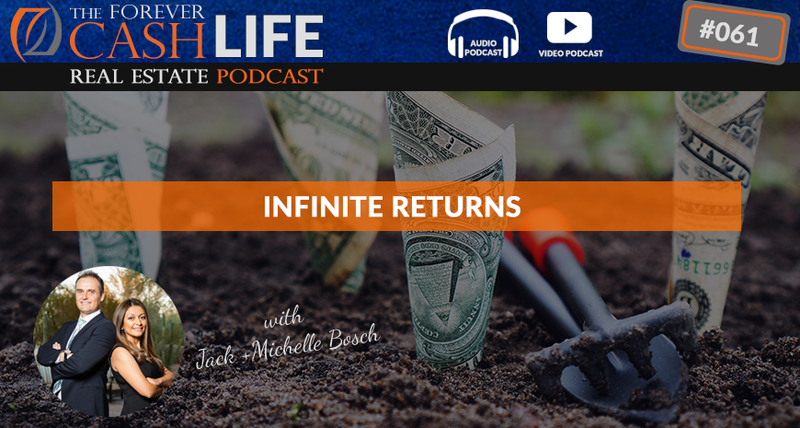 Jack discusses the fact that you need to invest using sound, fundamental principles. Learn how many people went through the recession without losing nearly as much income as those who invested irresponsibly. Take a realistic look at what investing in real estate means, and reflect on some harsh truths about business that will help you to flourish while others stay up at night worrying about their investments. 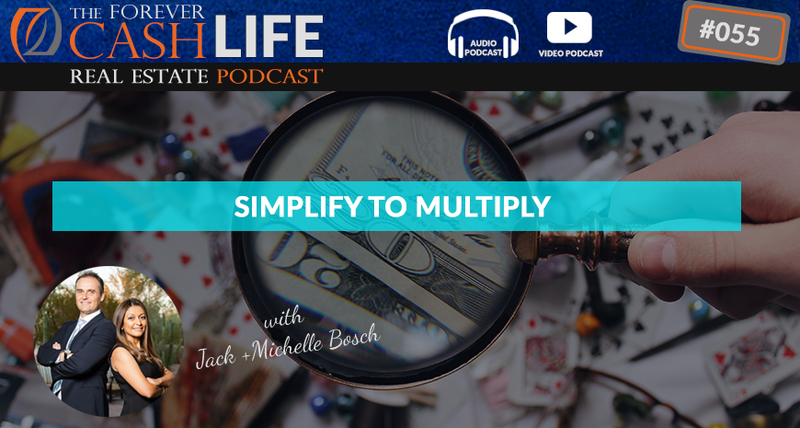 In this episode, Jack and Michelle talk about the concept “Simplify to Multiply” – how to hocus, pocus, focus on the things that are important and eliminate distractions. In the world of business, there are many times when “shiny pennies” and other distractions take your focus away from what’s important. You’ll learn how to choose what to focus on, and eliminate everything that is causing you to waste your precious time. There are also certain times when it might be a good idea to do something different, but you have to very carefully weigh your options. Do you want to spend all your time on one thing that might not pan out? Or do you want to zero in on the most important stream of income, and succeed with the Forever Cash System? FCP 054: Why Do We Invest In Multifamily Buildings – How Do We Have The Time? 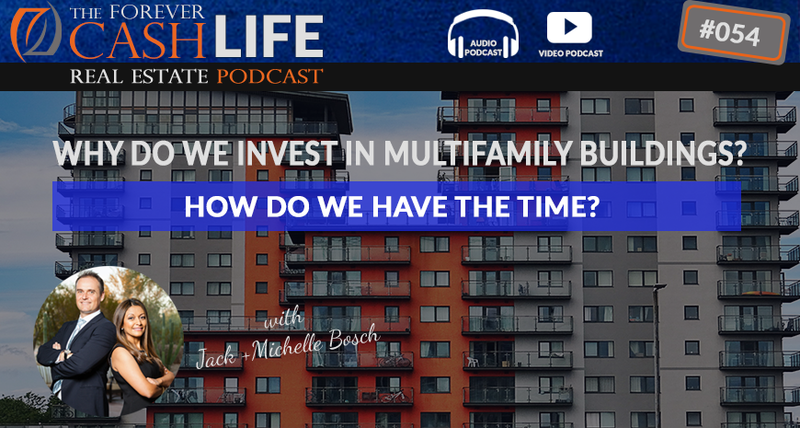 In this episode, Jack discusses a question that he gets all the time: “Why are you adding multifamily buildings to what you do? Aren’t you the land and lot people?” There’s a very good reason for this, and it all comes down to how Jack and Michelle structured their business. In this episode you’ll get more insight into their background, where they are today and why they are able to add an entirely new segment to what they do. You’ll also discover what makes Jack and Michelle tick. Once you have a business that runs itself, you need to challenge yourself to learn more, right? 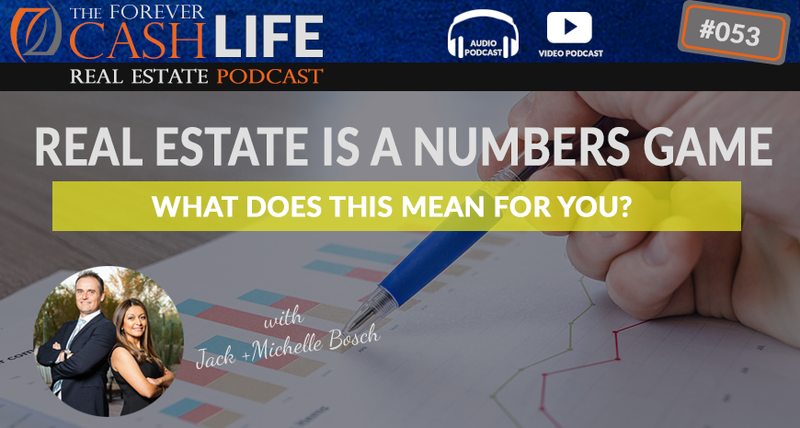 FCP 053: Real Estate Is A Numbers Game – What Does This Mean For You? 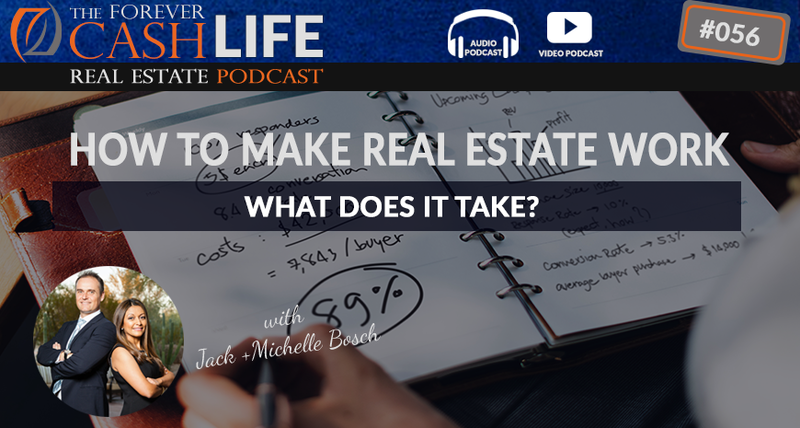 Jack and Michelle talk about the fact that real estate is a numbers game and how that affects the way you approach marketing your business. You’ll find out what do you need to know in order to go withstand dry spells or any other situation where you start doubting any real estate investment system that you are applying. You’ll learn about how basic statistics and how that informs how to target your mailing strategy. 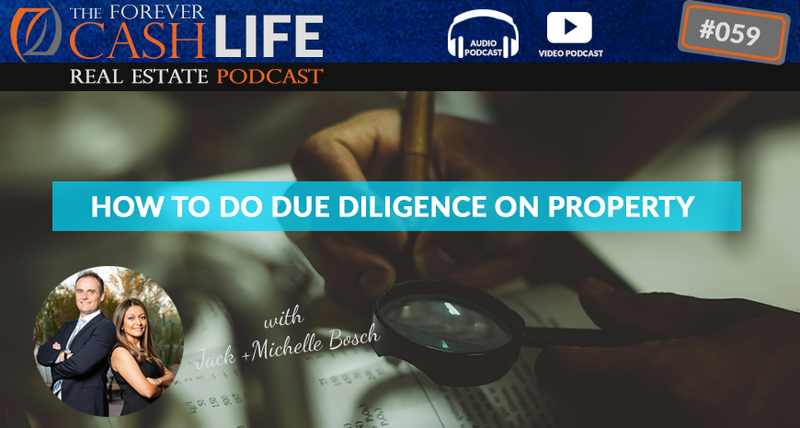 Jack and Michelle will give you an honest look at your chances within different real estate investment systems to make sure you that close as many deals as possible. In today’s podcast, Jack and Michelle talk about lot and land flipping. In other words, real estate without houses. Now here’s the thing, with land and lot flipping you can do almost everything you can do with houses and some things you can’t even do with houses. But there’s plenty of things you cannot do with houses because of residential laws. So there are so many different things that you can do with land and make tons of profits. And the biggest advantage to lots and land is that there’s almost no competition. 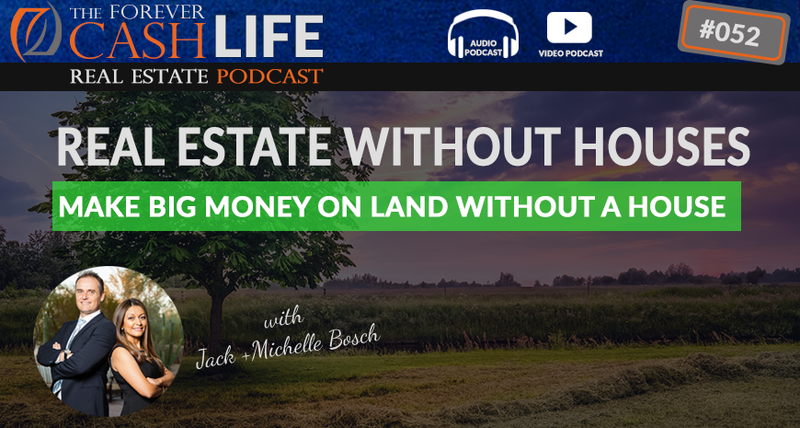 So, if you want to make big money in land without ever having to show a house, this episode is for you.